Looking for that luxury feeling without breaking the bank. 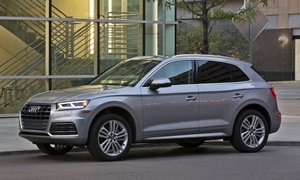 I've been looking at a 2015 Audi Q5 with ~50k miles on it, listed at $29k, absolutely in love with the look and feel of the car, but feel I might be overlooking a more cost-concience option that would provide similar features. 4WD/AWD a must as I drive on winter gravel roads in the midwest. Do you care about sporty, fun to drive handling or comfort that isolates you from the road? You'll probably have a lot of expenses to maintain the car. I'd probably look at an Acura or Infiniti tbh. The best deal going with $15,000 off until the end of thr years is the $45,000 2017 Buick Envision Premium l for $29,600. This one is located in Illinois so all discounts might apply since you are in the Midwest also. For that price on a near-luxury cuv with 4 years, 50,000 mile warranty I'd have it shipped in if you more than a few hours drive away. Most of these dealerahips sell at such low prices that they are accustomed to shipping out of their area. |Do you care about sporty, fun to drive handling or comfort that isolates you from the road? I would say I care more about comfort than handling, I don't care much about engine specs or 0-60 speeds or any of that stuff, but sporty handling is always a plus, I don't want to feel like I'm driving around an underpowered brick all day. The Audi Q5 is the best balance of sportiness and comfort, with a slight bias towards a stiffer ride than a cushy ride to keep the car flatter in the turns. It has middling reliability and higher repair costs than a Lexus or Buick. None of these cars are underpowered except for the base 4 cylinder Buick. All are available with AWD. 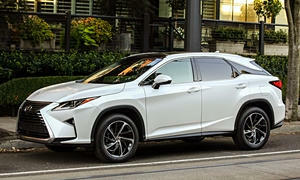 The Lexus RX350 or RX450h is the definition of a comfortable and reliable crossover. It doesn't have the sporty handling you may be looking for, but it is a true luxury SUV. It also happens to be the best selling luxury car in America. They very strongly hold their value, so you may have to go 4 or 5 years old. They are some of the most reliable and highest quality cars on the road. Not a really exciting choice, but it is the smart option. 2013 was the year they mildly refreshed the styling, but definitely stay 2010 or newer. You could get one with more miles and assure it will last because it is a Lexus. The Buick Envision crossover is luxury on a budget. It apparently depreciates a lot and has huge incentives. 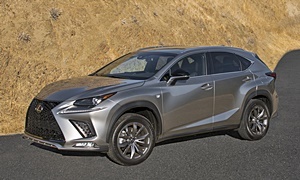 It doesn't have the same general quality as most other brands, but some automotive experts seem to like the fact that it coddles you like the Lexus RX, though not as much. It is a pretty ugly and forgettable SUV/wagon popular with the old people in my opinion, but to each their own. It has decent reliability, better than the Audi, but not the Lexus. The one Norm linked was pretty good. The interior is a fresher design than the used Lexuses you will come across because the Buick is a new car. Some say the ride is not smooth; some say it is. Some say it handles very poorly, some say it turns well. Overall, it gets decent reviews, but it isn't the best driving luxury SUV. The top trim is extremely overpriced if there are no incentives. Avoid Infiniti because they don't build good or competitive cars anymore. You might like the Acura RDX, but it is very outdated. Check it out if you don't like these. BMW, Mercedes, and Audi are the most expensive to maintain, obviously. Infiniti is not reliable anymore. 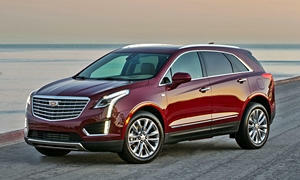 If you wanted luxury look at a $12,000 less Cadillac XT5 for $31K on cars.com. It is much less than Lexus RX 350 at $42K and you'll never need $10,000 in repairs on the Cadillac becauae in 4 years they both cost $23-24,000. Yes, the Lexus loses more of it's value in 4 years when compared on cars.com used. The average age of new car buyer is 52 years old where Lexus and Buick buyers are just above that. Lexus buyers are only a few years younger than Buick buyers. But it would be difficult to tell when they are driving by you to determine age differences. My daughter recently bought an Audi Q5 even though I tried to talk her into a Lexus NX200T. I have a 2011 Lexus RX350 which I bought in 2014 and is smooth, quiet and reliable. I did buy an extended warranty which now I regret because the only thing that has gone wrong is a leaky shock absorber. You cannot go wrong with a used RX350 but having said that I would consider an Audi Q3 or Q5 next time round. Of course get a pre purchase inspection done on a vehicle you are interested in. he NX200t is almost $10,000 more than a discounted Buick Envision 2.0T when closely equipped but still falls short on features like heated steering wheel rear leather, or heads up display . The Envision is actually quieter inside than the RX according to Car & Driver testing and that trend should continue with the lower model NX. In the US the warranty is only transferable once so watch the number of owners. The Envision is unlimited transfers and offers a little more in warranty. Then there is the performance or lack of in Lexus 2.0t. It is the slowest of any 2 0T sold today and near the bottom in efficiency. The NX is really only 1-2" bigger on interior dimensions than a Buick Encore and has a smaller cargo area when the rear seats are up. 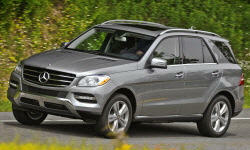 I have been very happy with my 2014 Mercedes Benz ML350 BlueTec (diesel). I now have 56,000 miles on it and have had only one minor issue-- one injector had to be replaced. I just purchased an extended warrantee from Mercedes Benz USA for another 50,000 miles. On long trips I average over 30 mpg and over the past 20,000 miles I have averaged 26 mpg. The car has plenty of power, is comfortable and quiet and is great for long trips. If you're open to other brands besides the typical "luxury" badges I would suggest trying out the 2017-2018 Mazda CX-5 in grand touring trim. 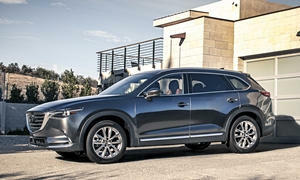 The CX-9 is another option if you want something larger. I strongly agree with ejulien6. Mazdas are ultra-budget luxury cars. Their interiors are very nice and they have added a lot of sound deadening in the recently redesigned models. They also handle great, but they are usually down on power. All their cars are 4 cylinders, some of them turbocharged. The Honda CR-V is another nice one, but is not as engaging to drive. 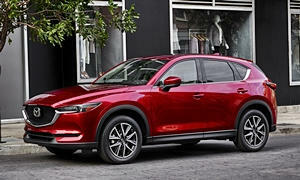 I actually did go and look at the Mazda CX-5 earlier this week. I liked it a lot, but the dealer in my town is Mazda/Subaru, so while I was there I went to check out the Subarus. I really love the Outbacks! Obviously not really an SUV but still ticks a ton of boxes I was looking for. I didn't test drive since it was 0 degrees out, but the ride is suppose to be very nice. I looked at a 2017 2.5i Limited version, 10k miles, asking $30k. What are your thoughts on Subaru Outbacks? I'm going back this weekend to test drive. You are doing the right thing on shopping for what you like. Next thing to do is shop prices. Brand new 2.5i limited are $29-31K with a $3,000-4,000 discount on cars.com. KBB has a 2017 2.5i Limited with 10K miles valued at around $25,000. So it pays not to shop at a gouging dealership. I recommend going Certified Pre Owned. Subaru and Mazda have the same CPO program where you get a 7 year/100,000 powertrain warranty from the new purchase date. We just bought a CPO 2015 Mazda3 i Touring with 20k miles and got this warranty for free with it, plus a free 1 year/12k mile bumper to bumper warranty. The Subaru doesn't get the bumper to bumper, but it's no big deal. 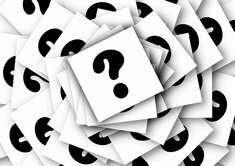 CPO cars are nice because the dealer replaces anything that has worn out, has a lot of scratches or stains, or has a mechanical defect. The new 2018 Outback brought more sound insulation, standard CarPlay and Android Auto, and the CVT is less jerky off the line. The worst thing about the Outback is that for some reason they are very expensive. They drive well and are good cars, but it can go past $40k for a fully loaded one. They ride very well and are pretty efficient and drive luxuriously. They aren't fun to drive like the Audi Q5, but they do have lower repair costs. The 4 cylinder engine in the Outback is kind of gutless. 0-60 mph in over 9 seconds. It isn't a race car, but it isn't supposed to be. The only potential reliability problems are a blown head gasket maybe at 100k+ miles. The infotainment system is also prone to freezing and many software updates. Overall it is reliable. Make sure you get the Subaru EyeSight, which is their active safety suite. It is available as an option package on the 2.5i Premium and 2.5i Limited. The 2.5i Limited has blind spot monitoring, lane change assist, and rear cross traffic alert standard and the 2.5i Premium has it as an option. The Limited has the Auto reverse braking as an option, not the Premium. These features are life-saving; do you know if the car you are looking at has these features? Are you sure you're not looking at the premium instead of the limited, Norm? KBB has it valued at $30,085 for my zip code. Looks like the premium is valued in the $26k range. The newest 2.5i Limited you can get in my area for under $30k is a 2016. bohlenderbd, what is your zip code? Different locations have different prices. There are many 2018 2.5i Premiums near me under $30k. 50321. I just checked the dealer and the exact one I was looking at just sold, but there's others very similar in the area. The low mileage 2017 limiteds all seems to hover right at the $30k mark here from all I've been seeing online. 1) Look at the actual dealer websites. When we bought the Mazda, it was only on the local dealer website. Not Cars.com or Autotrader or anything. Look at the dealer website and Autotrader, but the dealers have a lot more CPO cars than Autotrader. 2) The dealer leaves cars that have sold on their websites because they want to get you into the dealer. Call before you walk in. This one is good. It doesn't look like this one has the safety features, which would be a deal breaker for me. You know by checking the CarFax. 1-owner doesn't mean much when it was owned by Hertz, but hundreds of people rented it and did hard accelerations. That is what you want to avoid. I had no idea Subaru had fleet sales. KBB offers what your car is worth when it pulls off the dealerahip lot and you can see there is a almost $5,000 descreptancy compared to used Subaru. 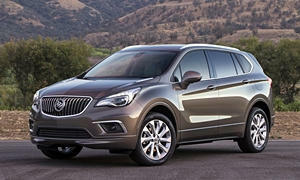 The Buick Envision has $1,500-2,000 difference. My inlaws had to replace two Toyota's this summer and their Buick Encore price was less than $2,000 difference pulling off the lot where their 2011 Camry was about $4,000. You see at the dealership marks up the prices for Japanese makes so you end up paying more. Just the facts. I think it is sad that the main selling point of GM cars is the incentives. If GM had no incentives, they would probably file for bankruptcy again. Japanese branded cars are usually more expensive because they need to be imported and have other complications with labor etc. Unless the car is in large demand or is exclusive, Japanese makes do not mark up prices; they have higher MSRPs. If you read this article, you would see that your facts are incorrect. Where did you get your "facts?" In general, Japanese cars are more expensive to build, and therefore, yield a higher invoice price. The automaker needs to make some money, so MSRP is higher than the cheap American cars. GM and Ford have higher profit margins and make more per car sold. Toyota and other Japanese makes try to increase their profit margin to make up for their more expensive manufacturing and quality control by asking a higher MSRP, not marking up the price. For example, you can compare a Cruze L ($16,995) to a Corolla L ($18,550). Both bottom of the line, but the Corolla is has a higher MSRP because of the higher manufacturing costs, brand reputation, and quailty control in order to maintain the profit margin. Also, KBB never tells you the correct price because they are estimations. If you sold your car in a private party at the KBB value, you would lose a lot of potential money. I've never sold a car at or below KBB value except for my piece of junk 1990 Ford Taurus. The car was in great condition because I had only owned it for 3 years. The KBB "Fair" price (the worst condition) was $4000, which was already a huge loss from when I bought it for $18k. I sold it at a private party, not a junkyard, for $1000 disclosing every part that had been replaced on the car. I had the car for sale for a few months. It ran well at the time, but was bound for several additional transmission, ECU, and engine mount failures, as it had already gone through several of each of those. I thought I could make it someone else's problem before it went out of warranty. So I lost 95% of the car's worth in just 3 years just because it was a lemon. And here I thought Toyota was the most American made car company and not imported and they still charge top dollar? Pop the hood on a Corolla rental and tell me how much the water diverted costs at the base of the winshield that are plastic corregated from packaging materials some intern whipped up at lunch while the line was down and held on with push-pins. Now do the same on most cars and they use a extruded plastic pieces of soft rubber for the whole windshield base and tell me how quality a North American assembled Toyota Corolla is? The Corolla drives worse than a golf cart! Only one person left in my wife's family that picked up a Corolla and is drunk on from a couple decades ago on the Kool-aid. KBB your son's new Mazda 3 and you'll see unless you got a really good deal like I did on a used 2016 Buick Envision. But today, not almost 30 years ago example, KBB and NADA are good references and supports the case that Japanese vehicles cost .kre to the consumer than do domestics.